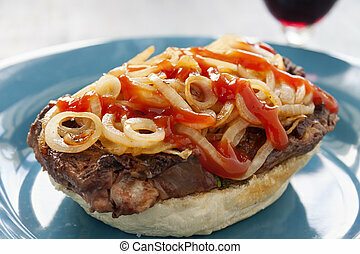 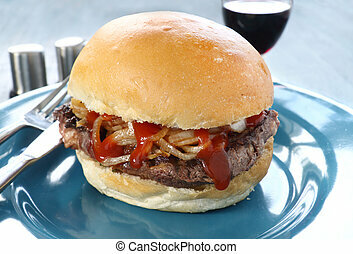 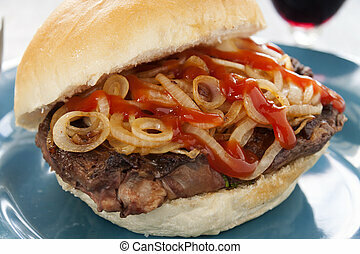 Freshly prepared open fillet steak burger with fried onions and ketchup ready to serve. 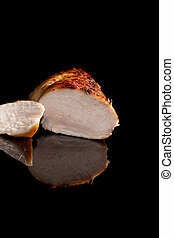 Luxurious juicy chicken steak cross section isolated on black background. 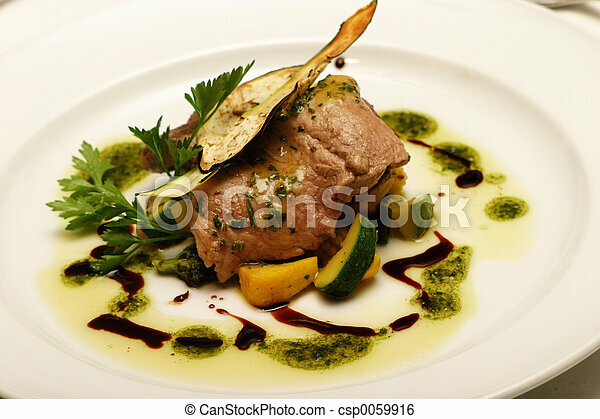 Culinary cooking. 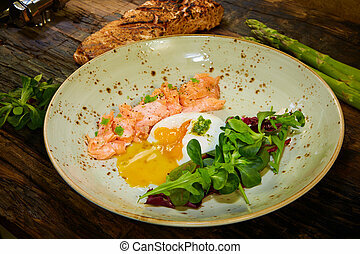 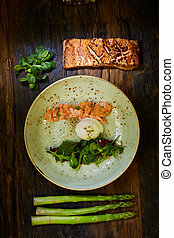 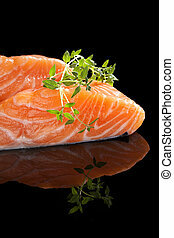 Delicious salmon steak with fresh herbs isolated on black background. 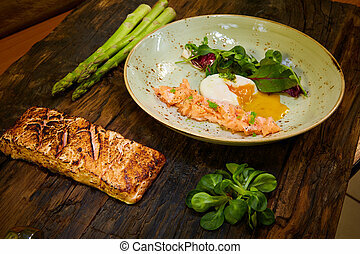 Culinary seafood eating. 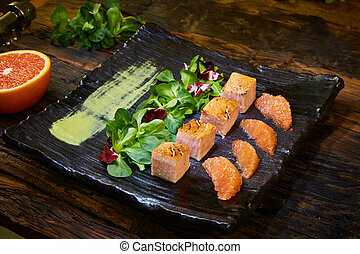 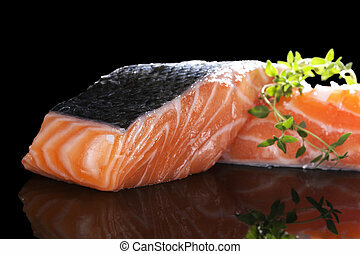 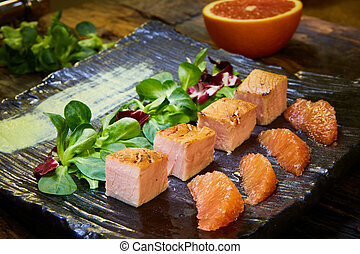 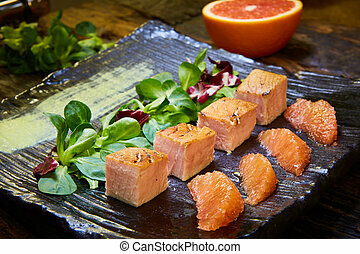 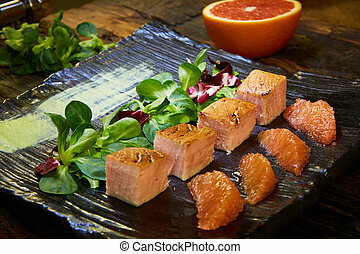 Salmon steak isolated with fresh herbs isolated on black background. 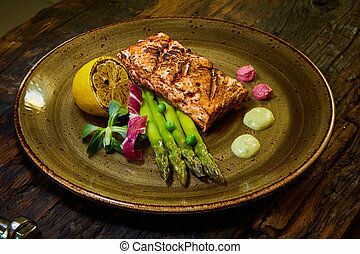 Luxurious seafood eating. 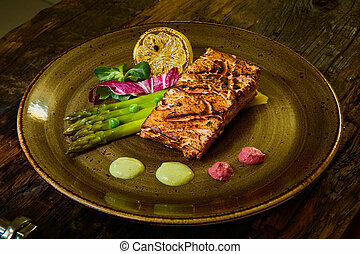 Slow Cooked Salmon fillet steak with salad on plate, Sous-Vide Cooking Salmon Fish.